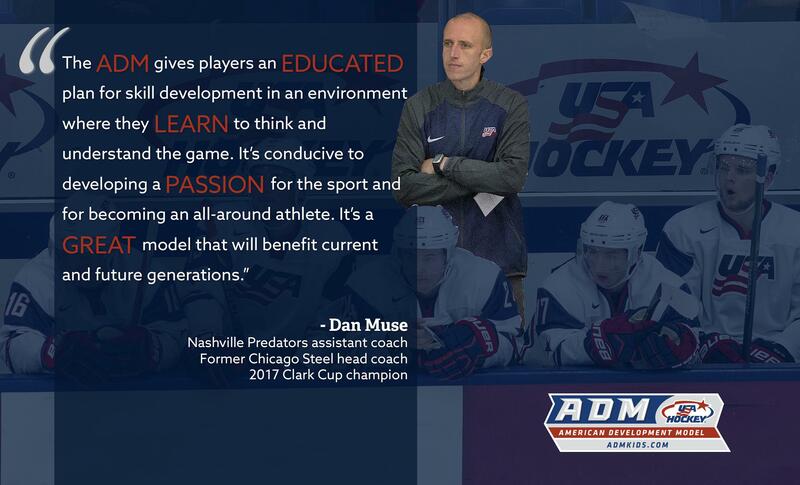 "USA Hockey introduced the American Development Model in 2009 at the youth hockey levels, so that’s when you started to see the cross-ice games, station-based practices and smaller-area hockey, where the focus is more on skill development and enjoyment of the sport versus putting a bunch of 8-year-olds on a giant sheet of ice and doing flow drills. 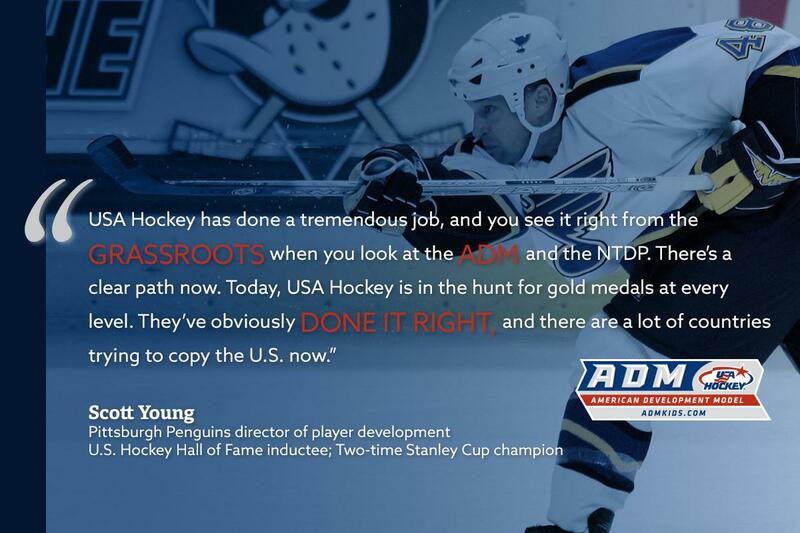 That change helped American hockey in general, and we're seeing the benefits of it now." 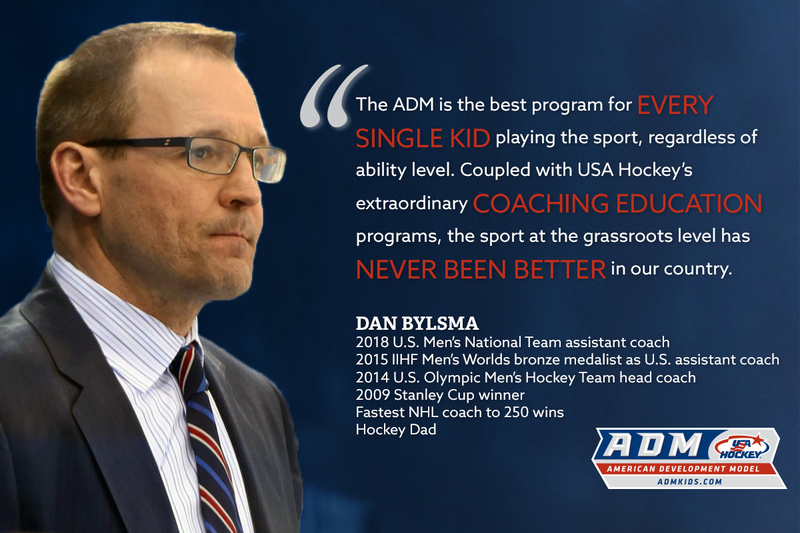 “I'm a big believer in USA Hockey's ADM. I’ve been coaching my son for the last six years, from 8U through 14U, and the ADM has been part of every single one of my practices. When we have a large group, it really keeps the kids moving and makes sure they get plenty of reps. 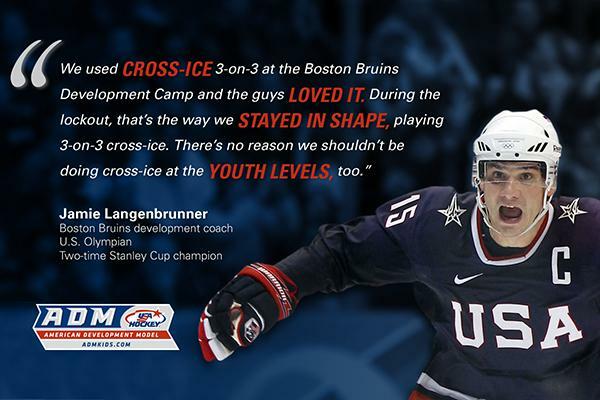 The two things I find most valuable for player development are the small-area games and playing cross-ice at 8U. I start every one of my practices with a small-area game. 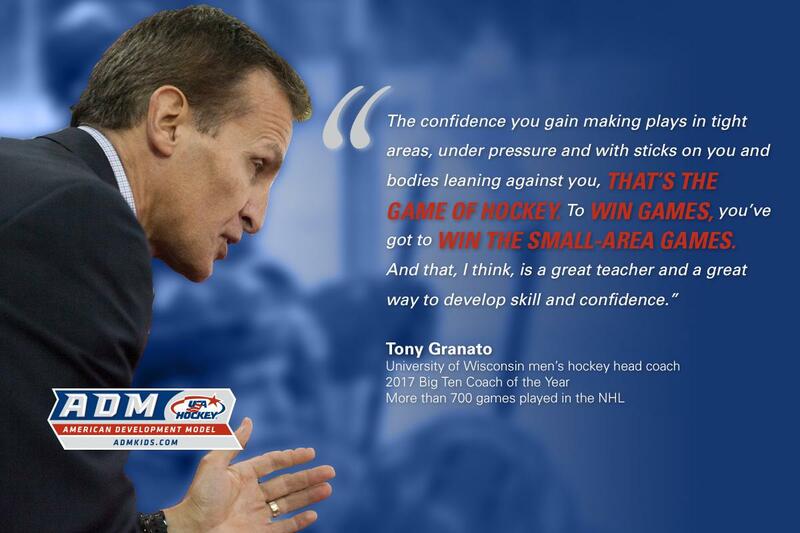 It gets the kids’ legs and mind going right away and improves the quality of the rest of the practice because it warms them up and gets them focused. It has also greatly improved my team’s ability to make plays in small areas and generate offense. 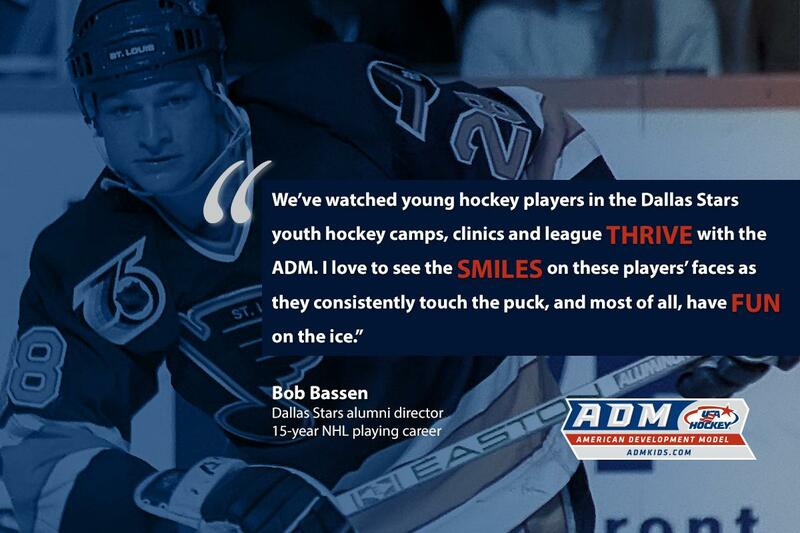 Most importantly, the kids have fun and can't wait for practice to start. 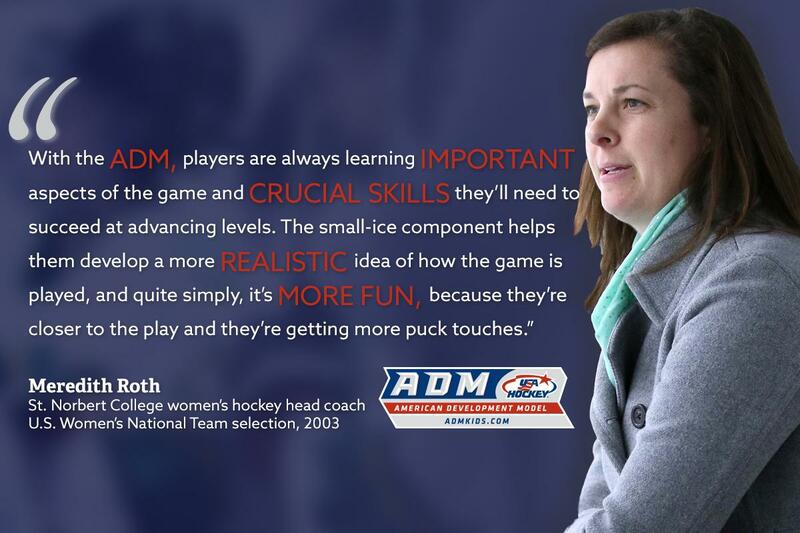 "Skills and small-area play is the foundation of hockey now days. 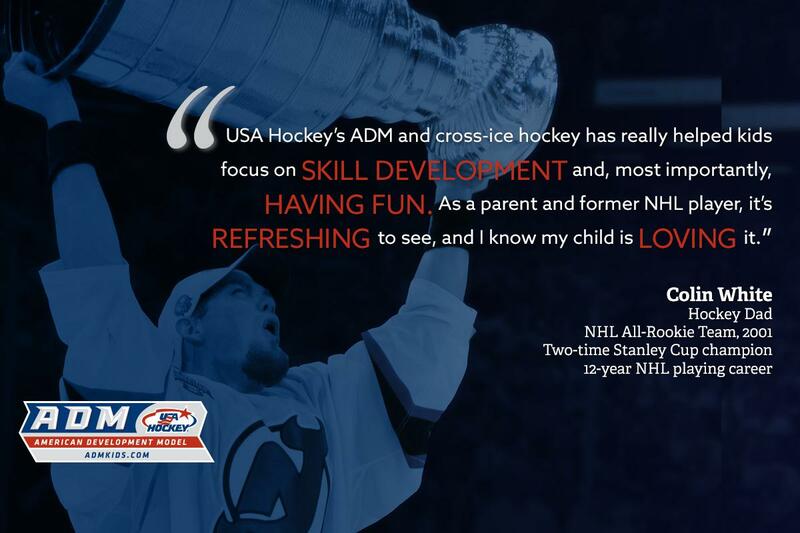 So it's a little bit different from how I was growing up, but USA Hockey is starting to really pay attention to the small areas and it's awesome." "Above all, we will always put the kids first. 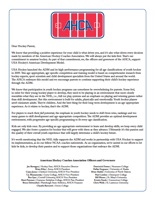 As part of that commitment, we support USA Hockey’s American Development Model." 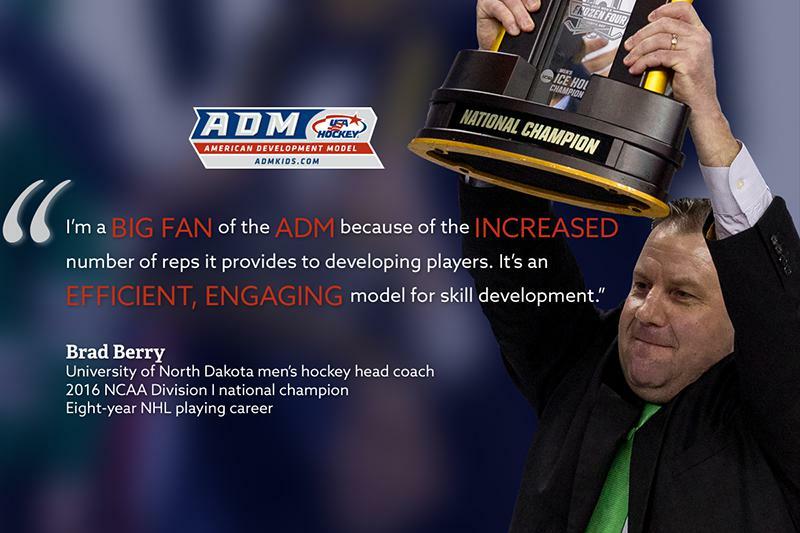 "I like that the ADM encourages kids to play other sports, too. 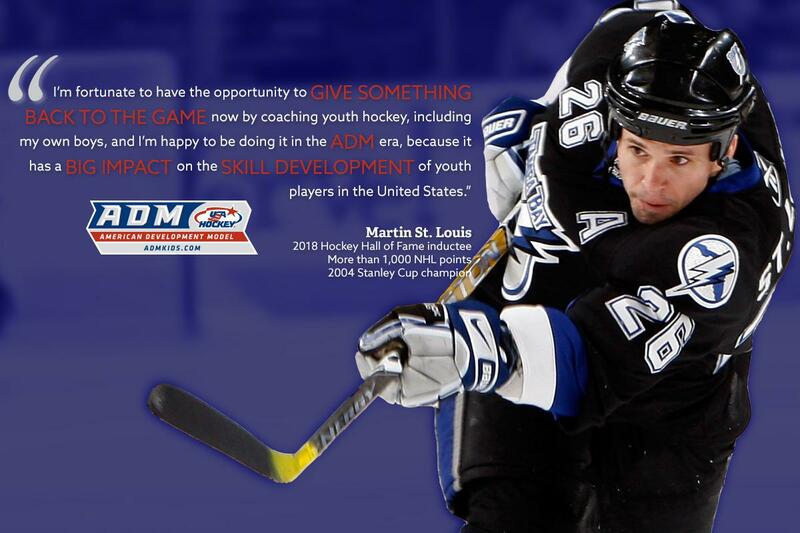 Hockey is a great sport, but playing other sports definitely helps you become a better hockey player."